We can't embed the video here, but you can see it by clicking clicking here. After the construction of a raised causeway in 1859, Mont Saint-Michel was permanently connected to the adjoining land. That all changed in 2013, when the construction of a bridge allowed the fortified abbey to become an island once again. 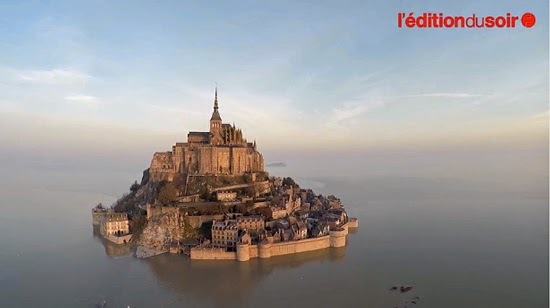 Mont St-Michel is a Benedictine Abbey, in the Diocese of Avranches, Normandy, France. great stuff, Just so you know, you CAN actually embed on your page. Just right click the video and click "copy embed code"